Independent presidential candidate Mikhail Prokhorov has announced the start of a project to create a new multimillion-member party. Most political heavyweights say the project will fail, just like Prokhorov’s attempt with the Right Cause party. 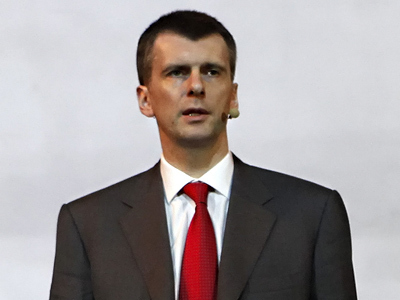 A short time later Prokhorov elaborated in his LiveJournal blog: “You know my political program, I have announced it earlier. We need a massive party force to back this program, and we need it now!” the blog post reads. Prokhorov added that his party will be multimillion-strong and will be much more numerous than the ruling party United Russia. Prokhorov already attempted to create a massive political party last year, through acquiring the small but established Right Cause. However, party veterans ousted Prokhorov right at the first elections convention, over disagreements on attracting controversial personalities and the general authoritarian way of management. Prokhorov promised to create the new party back then, but the plan was postponed until after the presidential elections. 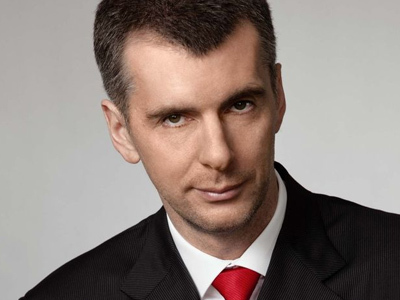 Prokhorov did not explain what caused him to change the plans now. 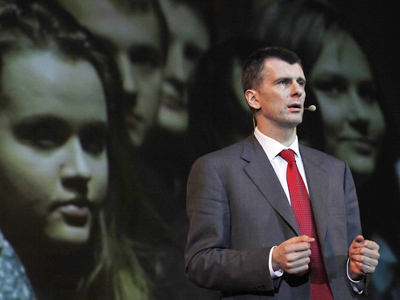 Other Russian politicians were skeptical about Prokhorov’s plans. 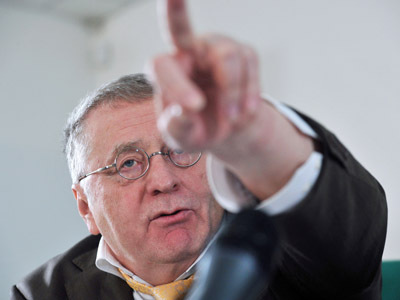 The head of the center-left party Fair Russia and presidential candidate Sergey Mironov, said he did not believe that the initiative would end in success. “Mr. Prokhorov, as a very self-presumptuous person and apparently he seriously thinks that he is managing everything. It is also likely that he is incapable of drawing lessons from his past mistakes. We all remember the crash with which his rightist party project went down. There is a good proverb: you should not enter the same river twice,” the Interfax news agency quoted Mironov as saying. Sergey Mitrokhin, head of the Yabloko liberal party, also said he had doubts that Prokhorov’s new party could outnumber United Russia. Mitrokhin holds that under current conditions, when the minimum number of party members is lowered to just 500 persons, the idea to outnumber United Russia is doomed to fail. Thus, Mitrokhin suggested that Prokhorov should think of the quality of his supporters, rather than quantity. Mitrokhin also suggested that Prokhorov’s political activity would dwindle after the presidential elections. The leader of the unregistered political movement Other Russia, Eduard Limonov, said that Prokhorov’s initiative would fail simply for the reason that party creation is a lengthy and complicated process. “He does not quite understand what he has started. A party is not an enterprise or a corporation, it is a different thing. For money you can create an office party for six months, but this will not be a political party,” Limonov said.